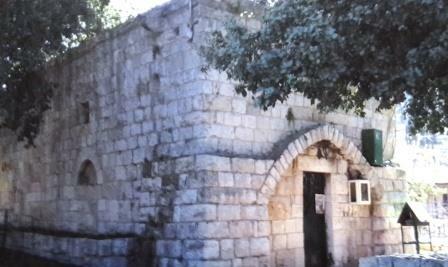 The Mar Lichaa Church served as a Monastery and Patriarchal seat during the rule of Patriarch Youhanna Al Lahfadi (1151-1154). In recent history, the sons of Cheikh Rameh el Khazen renovated the church and dedicated it to honor Mar Lichaa. Moreover, they assigned priests and held regular masses in it and one of its most notable servants was Priest Youssef Ziade. In the late 19th century, the Church was put under the supervision of Cheikh Ragheb Haydar el Khazen, before his sons Cheikh Haidar and Cheikh Toufic took charge of it. Nowadays it is under the patronage of Cheikh Ghassan Rameh el Khazen.